One-on-one meetings are, in my opinion, the best tool a manager has to engage employees. Naturally, they’re becoming more popular as the concept of frequent feedback becomes more important. 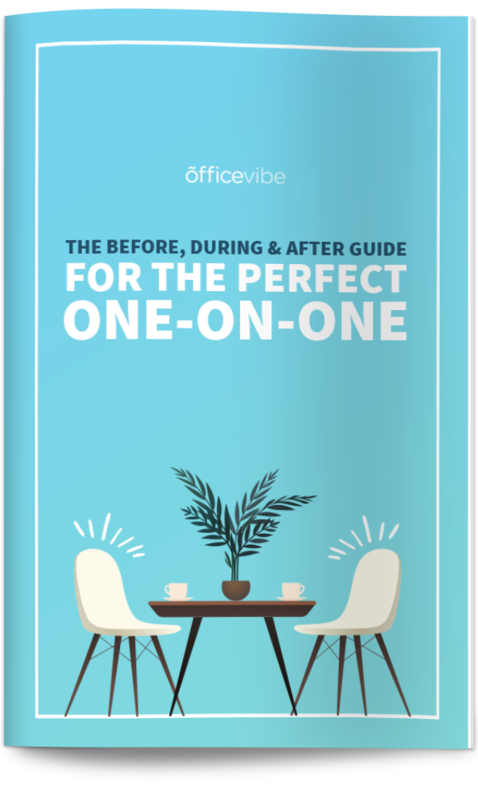 Managers are using the one-on-one as a way to build a relationship with their direct reports, find out about issues early on, and create a consistent dialogue. Like all good things, they come with their flaws and they’re not a silver bullet. Let’s go through a few of the most common problems with one-on-ones and what you can do to fix them. Here are a few common problems that most managers can experience with one-on-ones and some tips for what you can do to fix them. As a manager, you already have more than enough on your plate. Between doing your own work and managing your team, who would think that there would be room for hour-long chats with each one of your direct reports. If you’re managing two or three employees, it’s not that big of a deal, but if you have a team of 15 people, it can become overwhelming to plan and track these meetings. Plus, some one-on-ones go way longer than the scheduled hour (I’ve done this to my manager many times), but it’s hard to cut them short because they’re so valuable. You can learn so much about the challenges and the roadblocks of every employee, that you need to be doing them consistently, but you have to both accept the fact that it will take time, and plan for it accordingly. How To Fix This: I think your best bet would be to get them all done together instead of spreading them at different points throughout the month. Pick one or two days, and just do all of your one-on-ones back-to-back. Try your best to stay focused on the agenda and keep them within the allotted time. After a few months of successful one-on-ones, your employees might legitimately not have anything to say in their meetings. You could turn the meeting into a performance update, but that’s not what a one-on-one is supposed to be. It might get to the point where the meeting feels forced. This is especially true if there’s nothing bothering an employee. If they genuinely have nothing to talk about, then there’s no real need to force a conversation. Having said that, they’re still good to have and good to keep consistent. How To Fix This: It’s important for you as a leader to come prepared to the meeting with some notes. Even though it’s the employee’s meeting and not yours, it’s a good idea to have some talking points ready to avoid that forced feeling. Another good idea is to follow up from last month’s meeting to talk about their progress on what they wanted to achieve. This is why it’s so important to be constantly taking notes. Otherwise, you can use the time to get their input on other higher-level stuff that’s going on in the company. Everyone loves to have their opinion considered, so you can use that time to gather their thoughts on new initiatives. While one-on-ones are meant to be informal and used as a way to build a relationship with your employees, it’s important that they have some structure. For example, you should be taking notes, you should be following an agenda, and you should be holding each other accountable for change. It’s impossible for a manager to remember what was said and if you want to hold people accountable, you need to both be on the same page. The content can be informal, and the chat should be nice and friendly, but you need to develop a routine to make sure they’re effective. How To Fix This: Develop a three-step routine to make sure you keep the required structure for your one-on-one. What can I hold you accountable for next time we talk? What can I be accountable to you for the next time we talk? Send an email right after your meeting with your summary of the meeting to your employee to keep everyone on the same page. An informal chat with one member of your team is the easiest thing to think about cancelling. But it’s an incredible opportunity to learn from your employees and make them feel listened to. You don’t want to cancel or skip the meeting, no matter how busy you are. When things are busy for your company, it can be even more tempting to cancel that meeting. But it’s during those busy times that you need one-on-ones more than ever. Those busy times can be stressful for employees, so you need to know what’s on their mind to make sure they stay happy. Plus, it sends the wrong message to your employees. It shows them that you don’t care enough about them, plus some employees wait until their one-on-one to bring something up that’s on their mind. If you cancel the meeting, that can be incredibly frustrating to employees. How To Fix This: The most important tip is to remember what your priorities really are. Of course, it’s easy to think that skipping the meeting isn’t a big deal, but you need to keep your team happy. As tempting as it might be to skip the meeting, don’t do it. One piece of feedback I hear frequently is that many managers don’t know what questions to ask their employees during the meeting. Here are 10 questions that you can use for your next meeting. What else can I be doing to help you grow in your career? How would you say we’re doing at working together as team? What is the biggest challenge you’re currently facing? How is your workload right now? How has your work-life balance been lately? What new skills would you like to be learning? What’s something I should stop doing? What’s our team not doing that we should be doing? What are three things that you’re proud of accomplishing in the last month? How’s everything going outside of work? Any Tips For Better One-On-Ones?